The next time you travel, stay at one of these San Diego Vacation Rentals and spend your days sunning on the white sands of Mission Beach, sailing the calm waters of Mission Bay or bicycling, skating or jogging the 2-mile beach boardwalk that is only steps away from these beach homes along the coast. Most properties are less than a 15-minute walk to San Diego’s famous and historical Belmont Park, with its famous Big Dipper roller coaster and the largest pool in Southern California, a short drive or bus ride away from Sea World, San Diego Zoo or Balboa Park, there is no shortage of sites to see or things to do while your family enjoys a vacation in one of these San Diego Vacation Rentals. 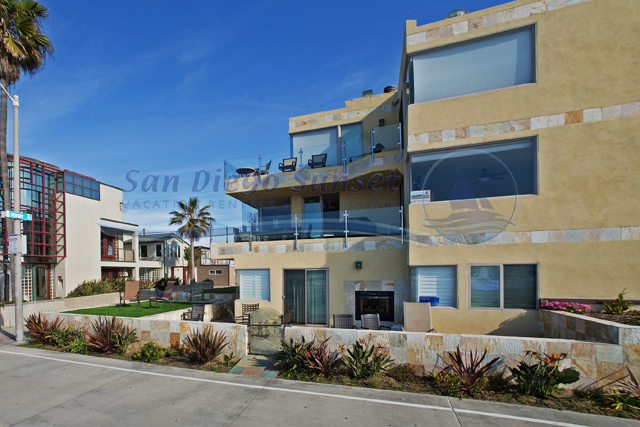 Only steps from Mission Beach, these homes, apartments and condos are perfect for a San Diego Beach House vacation. These beach vacation rentals are great for a large family, yet the low rates are economical for parties of four or fewer. Make your next vacation in San Diego's Mission Beach. The moderate weather year-round makes a beach holiday in San Diego a great idea even in winter. Mission Beach provides a place to start, but the attractions in San Diego are numerous. San Diego offers miles of beaches, and endless water sports -- surfing, sailing, swimming, sunning. You will find quaint cafes and unique shops lining Mission Boulevard and the Mission Beach Boardwalk. Museums in Balboa Park, the pandas at San Diego Zoo, the shops at Seaside Village and Shamu at Seaworld are worth visiting. Whether you are from Arizona trying to escape the heat or from Washington trying to find some heat San Diego Sunset has a San Diego Vacation Rental in Mission Beach to accomodate you. 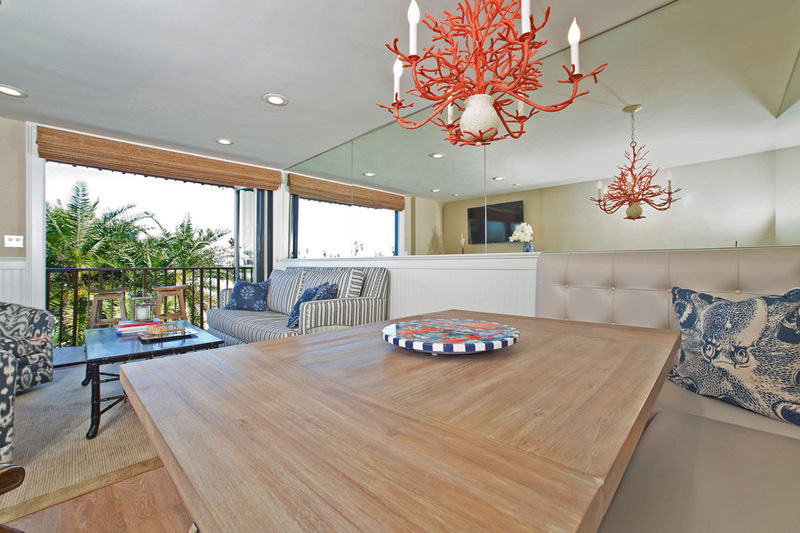 Economically, a Mission Beach or Bay vacation rental is a great idea. You won’t be paying the high rate of hotels and restaurant bills, because these San Diego Beach House Rentals have complete kitchens. 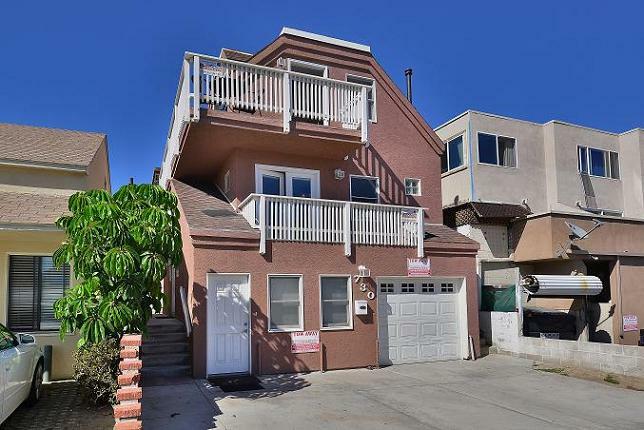 Located within walking distance of some attractions and a city bus ride away from most others, a rental car is strictly optional if you stay at one of these Mission Beach Vacation Rentals. Add up the cost for your family to stay in one or more tiny San Diego Hotel rooms, plus the cost to eat all meals at restaurants, and compare that to what you get with one of these San Diego Vacation Rentals. 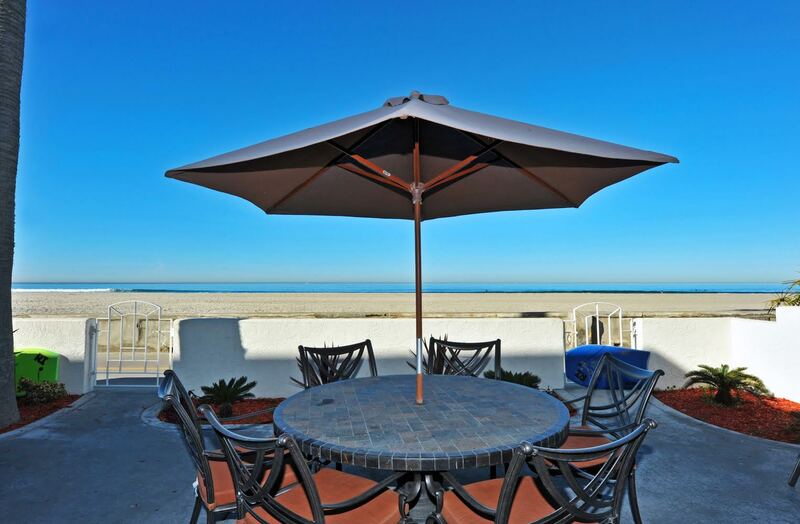 San Diego Sunset Vacation Rentals provide what you need to ensure an enjoyable San Diego beach vacation, including barbecue, towels, linens and fully-equipped kitchens. Wake up each morning to the sound of the surf of Mission Beach and you’ll be glad you decided on a San Diego Sunset Vacation Rental! We offer Free recreational rentals, including bikes, boogie boards, and horseshoes as well as a complete business center with internet, fax and printing. Free use of cribs, strollers and high chairs is also available for our guests at all our vacation rentals in San Diego. 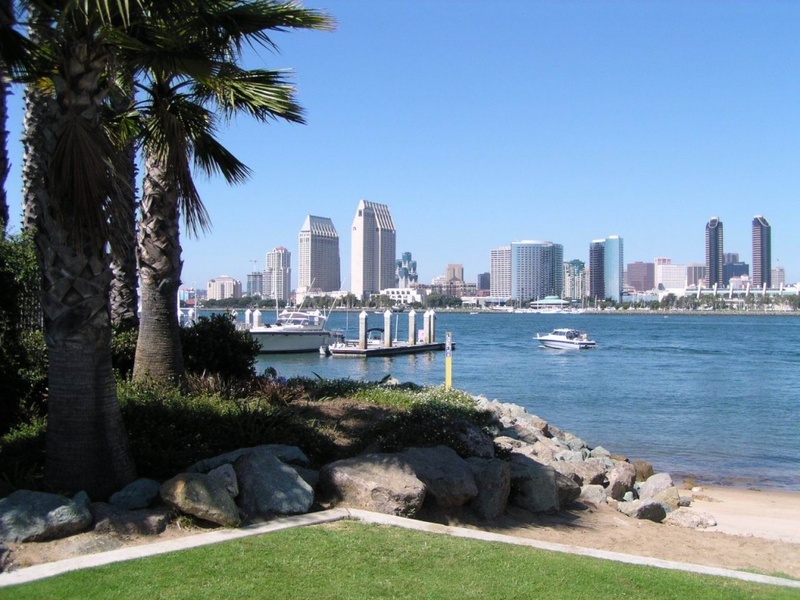 San Diego Sunset Vacation Rentals Offer More! Indulge yourself in the awe-inspiring views and exciting adventures of San Diego. 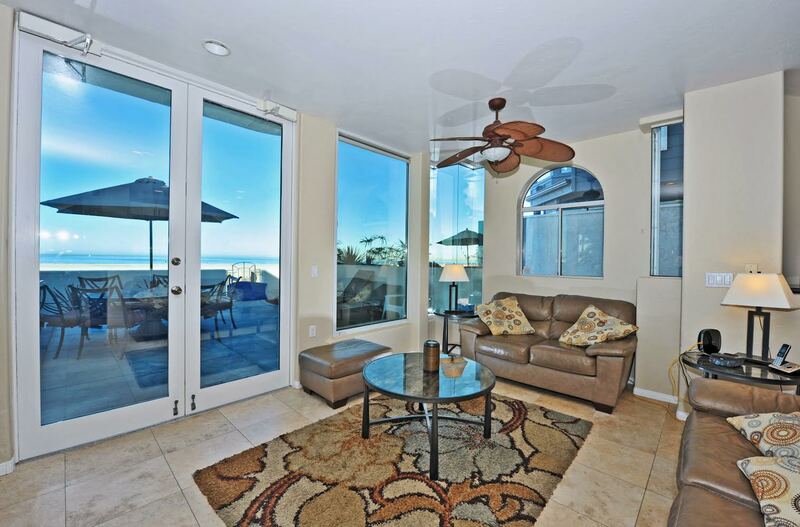 Vacation rentals in and around Mission Beach can be found with beachfront or bay front locations. Walk out your door and onto the beach for a day of surf, sun and excitement in the water or venture out to some of the nearby attractions such as roller coasters, parks, swimming pools and more. Sea World and the world-famous San Diego Zoo are just a short drive from Mission Beach .Why suffer through another family vacation or couples weekend in a crowded hotel room when you can enjoy yourself in the spacious homes and condos of Mission Beach? Can You Afford Your Own Beach Home? Do you love your San Diego vacations and long for a second home at the beach? Buy that second home and let it help pay for itself as a vacation rental, suggests Will Holland, president of San Diego Sunset Vacation Rentals and Real Estate. 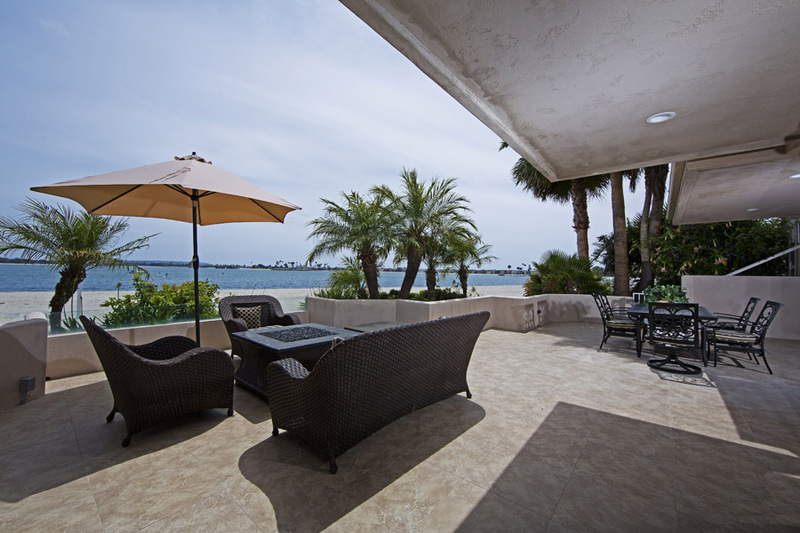 You vacation at the beach and would love to make it your home when you retire? Did you know you can purchase a retirement home with IRA funds? SAN DIEGOâ€”San Diego native and Occidental College graduate Amanda Caperino has been named customer service manager of San Diego Sunset Vacation Rentals, announced President Will Holland. Pacific Strand 4 GREAT PRICE GREAT SPOT!! Pacific Strand 3 Sleeps 4 STEPS TO BEACH!! Bay Front Luxury INCREDIBLE LOCATION!! We loved staying at this condo. The beach and boardwalk were steps away from the condo. The house was amazing, spacious, and well stocked! Great location. Free bike rentals were a big plus. April 22nd, 2015 - posted by Courtney H.
Ocean Point 308 AMAZING OCEAN VIEWS!! If you are like me you will not want to leave. The condo was immaculate and there were so many extras like the bikes we enjoyed riding along the oceanfront path. The best thing about the condo was the view. 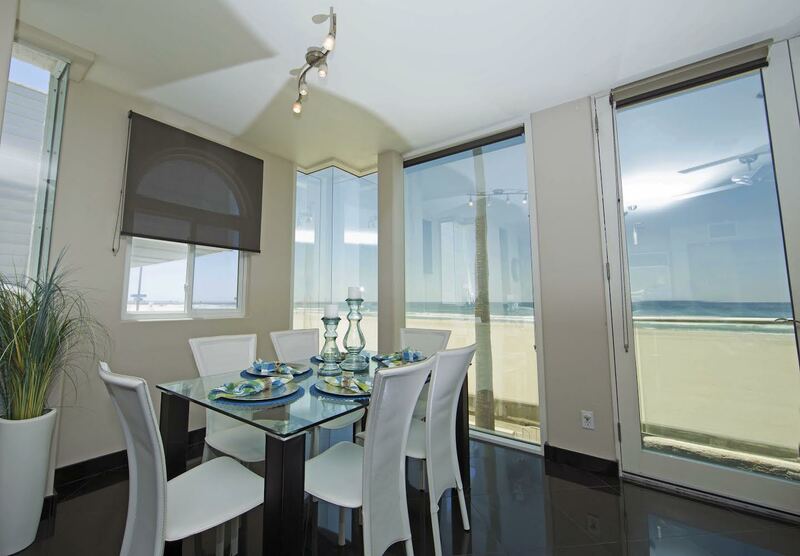 All three rooms have floor to ceiling windows looking out at the Pacific. Waking up each morning to the view of surfers and dolphins was just spectacular. You cannot help but relax. 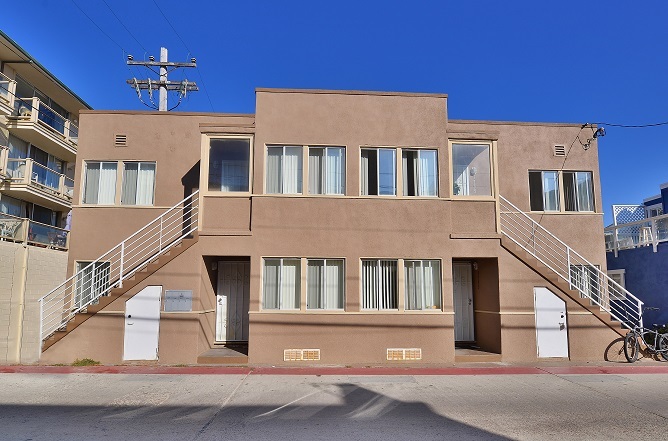 Right on the beach walk, 5 minute walk to bars, restaurants, coffee shops, burritos, ice cream, roller coaster and could not be any closer to the beach. February 16th, 2018 - posted by Kevin H.
You could not ask for a better location. 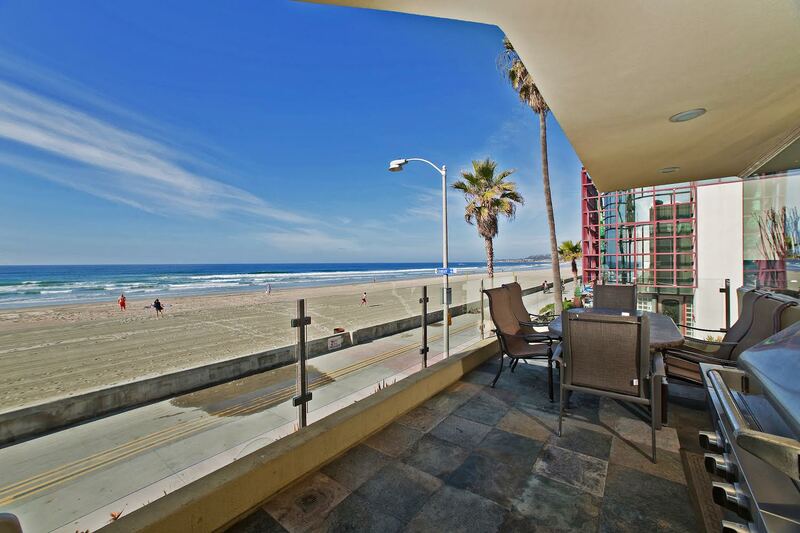 Just north of the pier in Pacific Beach with an excellent view of the beach and boardwalk. The property was in excellent condition and nicely decorated. It had a nice layout with two separate bedrooms and bathrooms and showers. The unit also had three beach chairs and 2 boogie boards and there were beach cruiser bikes available in the garage. In addition the complex has a pool and jacuzzi and large lounge area with a barbeque. We had a great time and I would defintely stay here again.